Bliss is your ultra no fuss slip-on. A stretch fabric upper flexes with the shape of your foot. A lightweight wedge sole keeps you light on your feet while TRIPAD® Technology offers support and comfort throughout the day. Designed to fit and follow the shape of your foot. 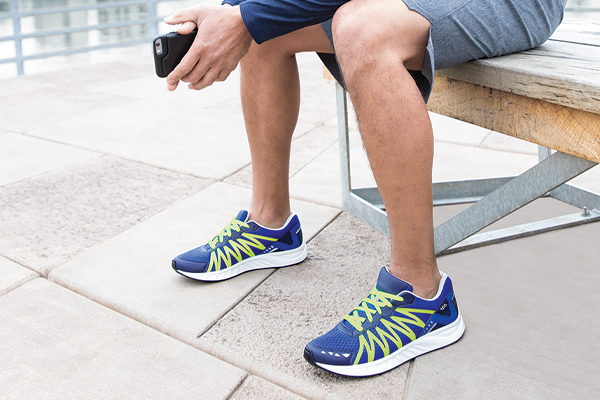 SAS Tripad® Technology gives long-lasting, all day comfort. Initial fit should be wide enough to stay comfortable across the ball of the foot yet roomy enough in the front so the toes are not cramped. The heel should be snug and should not slip while walking. Flex Fabric Upper: Our stretchable upper material gives a comfortable and relaxed fit that’s snug enough to keep from slipping. Removable SAS Comfort Foot Bed: This removable foot bed is flexible, cushioned and comforts your foot from toe to heel. SAS Lightweight Supersoft® Sole: Millions of tiny air bubbles in our molded polyurethane sole provide shock-absorption and cushion each step. A Soft Step™ heel with a wide heel base adds stability and reduces heel shock.